Surprisingly, I managed to sleep well for the past days. It’s probably the exhaustion from running here and there, tasks to complete for the Christmas party. The good news, there were a lot of sponsors for the event. The bad news, we needed to be the one to pick those supplies up from Manaoag and Bolinao. And I’m the one allocated for the job. At night, I would feel the loneliness, cry a little bit until I would be awakened by my alarm clock the next day. There was no time for more wallow. I was hoping that he will be back one day. It doesn’t have to be on Christmas like Santa Claus. I thought of going back to Building 325 on the 31st of October. I can look for him there. I can ask for Carlotta’s help. I am not a child anymore. My parents have never lied to me about Santa Claus anyway. Despite being surrounded by artworks, the word ‘fantasy’ never played a part in my childhood years when my parents were around. Aunt Georgette told me it’s because my Mom read somewhere that it’s not good for a child to believe something and then let their hearts broken later on because they found out that it’s all a lie. Still, as a child, I never stop hoping that Santa Claus would come to our house with his big sack of toys. I never told Mom about the sock I hung by the bed by Christmas Eve. I never wished for toys of course. I thought that perhaps I could catch him when he came by the window and I could tell him my only wish is to ride in his sleigh. On Christmas day, I would found out that he never came. The sock was empty too, which I would pick up and put back to the drawer before they find out what I have done. And that’s exactly what I have been doing now. I would lie to everyone including to myself of what I felt, and somewhere down there, there’s always a tiny bit of hope whispering to me that he will be back. During the day I pretend that he was just out to work. I would come home late in the evening, I head straight to the room and would lie down in bed. Next thing I knew, a whole week have passed by, and it’s the day of the event. It’s Christmas. I didn’t manage to complete the simbang gabi. I was not sure what to wish for now. “Thank you, Ising, for always being there for me. I appreciate it." The rest of the afternoon was spent on helping with cooking Noche Buena in a tent in the plaza. The catering lacked the staff because some needed to travel to other provinces. Louisa, the head of the team has been very patient despite my burnt fried chicken. “Wow, you’re hands-on!” Richard appeared beside me out of the blue. I didn’t notice he came in. He got this broad smile plastered on his face, clutched in his hands was a sparkling paper bag. "Well, I have been struggling with this fried chicken. How's outside?" "It's looking great. Last time I checked everyone's got their package of school supplies already. You have done a great job." "You think so? You know what, I feel like having a break after this event. I want to focus on the museum, and I thought I could offer a free scheduled tour every other day." "That's a good idea. I can contact my friends in the media and have our museum featured next time. Dad would love it." He took a bite-sized chicken and swallowed it. "This chicken is not so bad. A little burned, but fine. By the way, I won't be staying long in Santa Barbara. I am going to pursue working abroad." I lowered the stove's heat and turned to him. "Oh, I see. That's good news." "Santa Barbara is a great place, but it's small, and everyone knows you. This is not the place for adventure." "You're right. Santa Barbara is more of a happy, comfortable place. You come here if you want to clear your mind or want to settle down. Have a quiet life. You go on to your adventure. 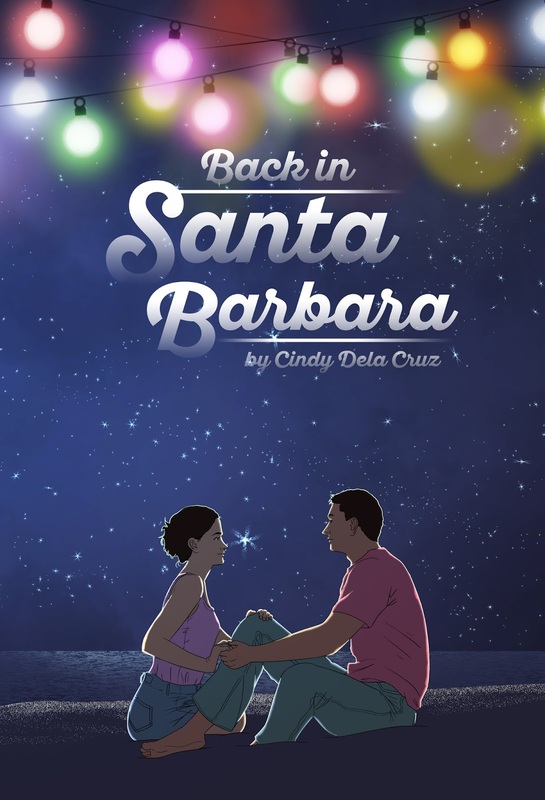 Santa Barbara will always be waiting for you with open arms." "You're right. Here, have this. You're my monita for tonight's Christmas party, and I can't attend it." "That's unfair. It's your idea to have an exchange gift, and you're not attending!" At 7 pm, I walked back home to a dark house. When I went inside, I decided to turn the Christmas lights on in the Christmas tree. It glowed in the entire living room. I played an old Christmas song CD. Its melody filling up the emptiness of this cold house. I went to the kitchen and opened a bottle of red wine. I was too thirsty that I drank the whole glass. I poured another glass and unwrapped the styrofoam containing the leftover from the event. It’s mostly my burnt chicken wings, the rejects that no one wants to eat. I couldn't remember my Christmas in the Underworld. I never wrote about it. The last Christmas I had was in Santa Barbara, a few months before the wedding was called off. I remember spending the night at the beach, looking at the stars. I remember how the wind blew that night, how I told myself over and over again that I will be okay, that I can surpass the night because I have always been a survivor. I swear to myself not give my all when I love again. I remembered crying because I felt so alone. Ising found me the next morning and with the help of some neighbours, they carried me back home. I didn’t go out for weeks and months. The reason why I can’t love Chris was because I was too scared those situations would happen again. When I opened my eyes, I found myself inside my room covered with a blanket. I sat up despite the dizziness. Did I manage to get to my bed after finishing a bottle? Wow, that’s pretty impressive of me. At least not on the beach this time. I felt a heavy object on the blanket, like an arm. It is an arm! I immediately got up and look at the bed again. Chris? Was I dreaming? I opened the blanket, and there he was in full figure. I shoved him to make sure the reality of the situation. “No one’s coming back to the Underworld except Gordo,” he murmured. “I will. You don’t even need to ask."